In terms of car development if nothing else they really should stick with Rubens. Maldonado though.... wtf? He's about as talented as Rosset. > really should stick with Rubens. Maldonado did beat Rubens several times though, and did deserve to beat him on points if it wasn't for Lewis' desperate move at Monaco. If it had been Rubens that had messed up the development process, then he would have been sacked mid-season. As it is Sam Michael - out of his own volition - took on the responsibility of the mess that Williams found themselves in. A mature and gutsy move, that McLaren found reason to reward. It was really difficult to miss this development of events during the progression of the season, but I seems you managed to do just that. Or perhaps you simply lack the maturity to understand the concept of unsubstantiated allegations, and why you shouldn't be throwing them around in public. It's only after we've lost everything, that we are free to do anything. Edited 1 time(s). Last edit at 12/06/2011 03:35PM by Morbid. Morbid - I may be being stupid but who are you referring to in the second half of your post - its not really clear. Clear enough to me - it's aimed at SchueyFan. Regarding who drives for Williams in 2012, I'd say there's every chance of Rubens and Pastor being kept on. Definitely Rubens is a prime candidate now that Kimi is out of the picture, and he has all the right things going for him. I think Sutil could be the one who ends up as a reserve driver. I don't know why that wouldn't be clear to you davidm. Perhaps you didn't notice SchueyFan's use of sarcasm? someone mentioned trulli earlier on. regarding him i' d only like to say how sad i feel for jarno. he was the only driver who managed to keep up with alonso as a teammate. and he did that on relative equal terms. alonso already had 1 full season in the team and 1 as a reserve driver (also the testing during the season was allowed back then). so what has happened to jarno ?? he was equal with alonsito, beat ralf regulary and even scored 2-3 podiums with toyota (indy 2005, bahrain 2009 etc.) Quite honestly i would pick him at williams or even at renault, next to raikkonen. Since Jarno is on the backfoot now, putting him as a regular driver is a risk, true that, but i cant help a feeling he will do not worse than maldonado, petrov, sutil or even kimi (until raikkonen is up to speed, which i hope will happen as fast as possible). Well yes you're right but the key word here that the team managers like to look at is "potential". Trulli may be better than Petrov now, but how good will Petrov be when he fully matures?? In terms of improvement from what we've seen in the past, Trulli probably has no further to climb. In immediate terms though I agree with you, I think Jarno would out-drive Petrov if they had the same car next year. I do think that Trulli is over the hill. Seems like a lot of drivers don't know when to quit. When they're ahead would be the general consensus, but I'd imagine something as infectious as racing is pretty hard to break out of. But there's a dearth of talent in lower formulae that aren't getting opportunities to get in F1 because people like Schumacher, Barrichello, Trulli and PDLR are still hanging on. I have got there with the sarcasm - pretty obvious really - just the end of a long day for me. On another point about age, fast drivers etc saw that Schumacher beat Vettel in the quarter finals of the Race of Champions, in fact did best of all the F1 drivers competing. Still quite a fast fellow. I really think the main thing holding Schumacher back now is the car. If Mercedes gave him a car which was even the equivalent of the 2011 McLaren, I think he'd subconsciously fire right up and we'd see a further transformation in him. It can't be motivating for a former multiple Champ to be going into every race weekend knowing your car will only be good enough to bother the wrong end of the top 6, regardless of who you are. Romain Grosjean confirmed for the second seat at Lotus F1 Team, along side Kimi - Added to list! Edited 1 time(s). Last edit at 12/09/2011 01:47PM by madotter. > see a further transformation in him. 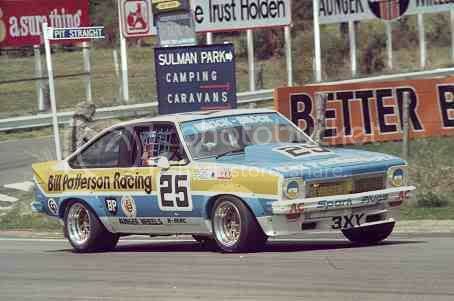 yeh, but does he deserve a go in a great car ahead of other drivers ? your comment can be applied to anyone, if trulli was given a car equivalent of the 2011 mclaren then his form would transform aswell. schumacher needs to get the best out of the car he has, thats what rosberg has been doing for 2 years. thats what vettel did this year. 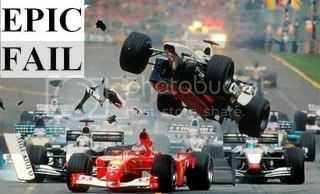 thats what schumacher used to do but doesnt anymore. Because neither have really had a decent benchmark against a third driver, the actual ability of the mercedes car is also then in question. The car could be wonderful. But a sub-par Rosberg and an aging Schumacher could not be doing it justice. you can tell the ability of the mercedes car quite easily that its about 4th best, by looking at qualifying laptimes, and especially sector times. rosberg managed to quite often get 7th which is the best after the top 3 cars. maybe schumacher is driving as good as ever just that rosberg is more talented now? thats another view that some might conclude, we will never know, but schumacher is far less consistent then before. if you look at qualifying sectors where every one is on the same fuel and putting in the same effort consistently puts mercedes 4th or 5th, in the same way redbull were consistently 1st, and sometimes second. schumacher too often underperformed in qualifying relative to his teammate, and thats a good indicator most times in f1 who is performing better. i hope mercedes wont make the same mistake next season as this, building a car around schumacher (i dont know if that is actually true or not, but it seemed the case at the start of the season). build it around rosberg this time and see if they can get towards the front of the grid. I don't think Trulli is over the hill as such, he can still be very quick. But what potential does he have? And is it enough? During his "Lotus" career he's been firmly outshone by Kovalainen who now supplies "Caterham" with a useful mix of potential and experience. It's no secrect that inspite of a contract to race Trulli could soon find Ricciardo driving his car, or another driver Red Bull don't want to toss on the scrap heap just yet, if Kovalainen lacked experience Trulli would probably be safe for another year, but Heikki is now well established. Meanwhile experience might yet be Barrichello's life line at Williams. PDVSA's dodgy cheque book has secured Maldonaldo's drive as well all knew it would, but his performances this season were no way near impressive nor consistent enough for Williams to have him as a lead driver. Hence Bottas who was regarded as being in with a shot of racing for Williams has been promoted to a reserve role. At this moment in time I'd say that Barrichello is favourite thanks to his epic experience and the fact that he already knows the team. His problem is that Frank is waiting for Force India to stop dicking about, because he thinks that Sutil would bring more money than Barrichello ever could, I imagine that Sutil wants Force India to stop dicking about as well because if they drop him it's only Williams or HRT who he has any shot of. Well we can rule JJ Lehto out.